Retired Workers Membership and Dues Authorization forms for retiree dues and associate membership dues forms available for download. Are you a retiree or surviving spouse looking for an authorization form so you can have your retiree dues automatically deducted from your pension check? Or maybe you are a spouse or associate member and associate member dues? If you are, these forms are available for download as PDFs below! Retirees and surviving spouses, who are eligible for automatic deductions from your pension checks, please fill-out the appropriate company card. Non-Big 3 retirees and surviving spouses should fill out the generic white card. 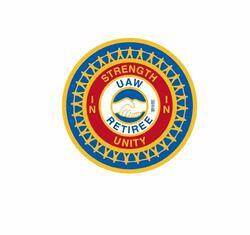 UAW retired members finance their own structure through voluntary retiree dues. These dues make their programs self-supporting. Since the Constitutional Convention in 1966, retirees have pledged that the UAW would not have to use active members' dues to support the retired workers' programs. Our retired members have kept faith with that pledge. Of theses dues, 35 percent stays in each local union retired workers chapter, 25 percent goes to the regional retired workers fund and 40 percent of each dollar goes to the UAW Retired Workers Department for their efforts on behalf of retired workers. Some of these efforts would be for collective bargaining, legislation, communication, education and representation on issues affecting seniors and retirees. The entire program of the UAW retired workers' movement is financed by retirees' voluntary dues. Spouses or surviving spouses may request to become associate members of the retired workers chapters. Surviving spouses are also encouraged to participate in the voluntary dues program. We now have almost as many retired members as active members. Retiree dues support all of the activities of the retired workers -- programs and are now more necessary than ever before.